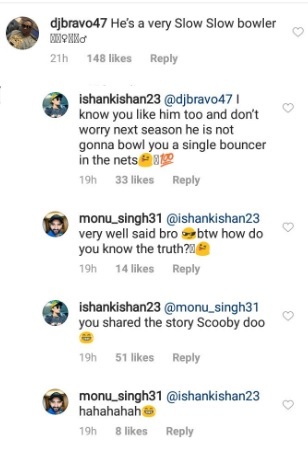 Monu was featured in the Chennai Super Kings squad for IPL 2018. 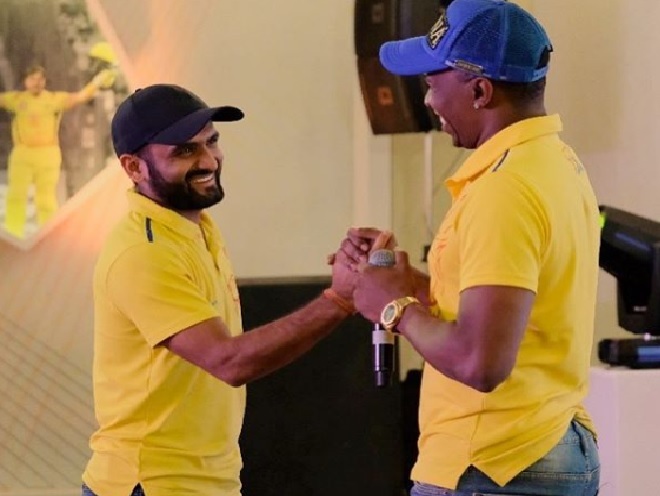 While Ishan Kishan and Monu Singh where flaunting their brotherhood, they were joined by Caribbean cricketer Dwayne Bravo just to spoil it in a funny way. The wicket-keeper batsman from Jharkhand, Ishan shared a picture of him and Monu and wrote, "Pace bowler on the field.. More than a brother off the field.. @monu_singh31 #Brothersforlife [sic]." 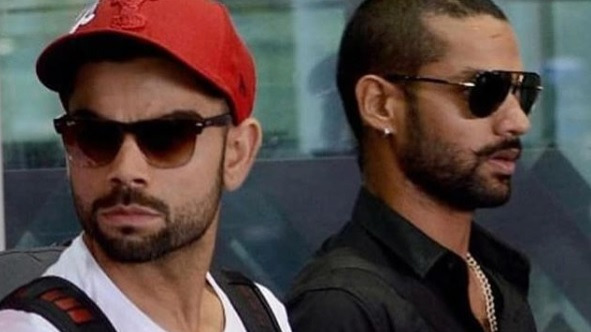 While Ishan's fans were happy seeing the two cricketers together, an unexpected guest paid a visit. Bravo took a dig at Monu for his bowling speed. 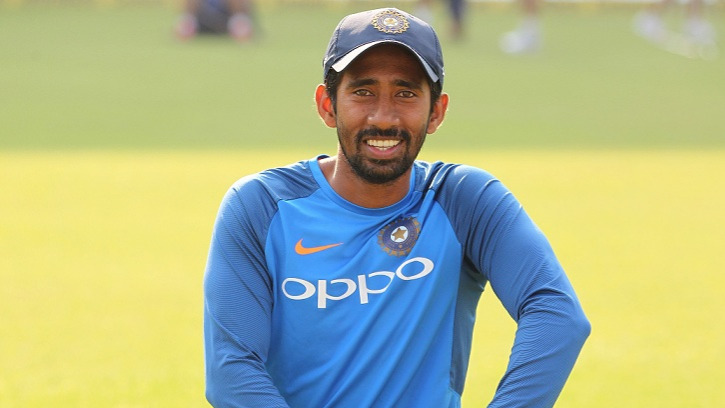 The Jharkhand pacer and West Indies all-rounder had played together for Chennai Super Kings in IPL 2018. The two know each other very well and have a good friendship. 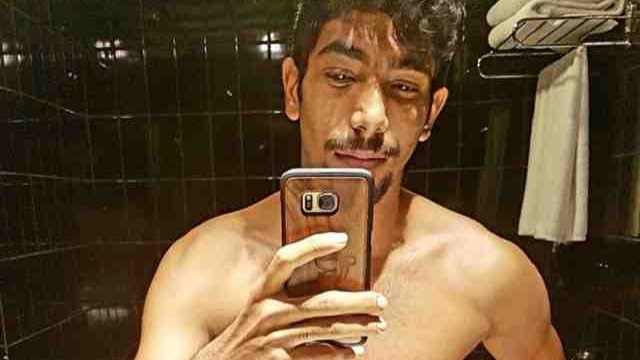 As much as we know Monu is a friendly guy and has a good relationship with everyone. He was even praised by Sakshi, MS Dhoni's wife as she gave him a shoutout on Instagram. Commenting on the post, Bravo wrote, "He’s a very Slow Slow bowler ????????‍♀️??????? ?‍♂️ [sic]." Ishan had to come in support of his state teammate. He replied, "@djbravo47 I know you like him too and don't worry next season he is not gonna bowl you a single bouncer in the nets [sic]." Monu looked more than happy with the support. He also jumped into the conversation and wrote, "very well said bro. btw how do you know the truth?"